As we count down to the holiday season, I want to speak up for the Christmas (Hanukah, Solstice, choose-your-holiday) letter. You know what I mean: it’s that letter stuffed in an envelope that recounts what you did in the last year. Why are they important? Why not just follow people online? (Have you ever gone through a friend’s Facebook feed to see how their lives have been over a year? Really?) Why put your year down in print and tuck it in an envelope (which will cost $$) to send? My reply? 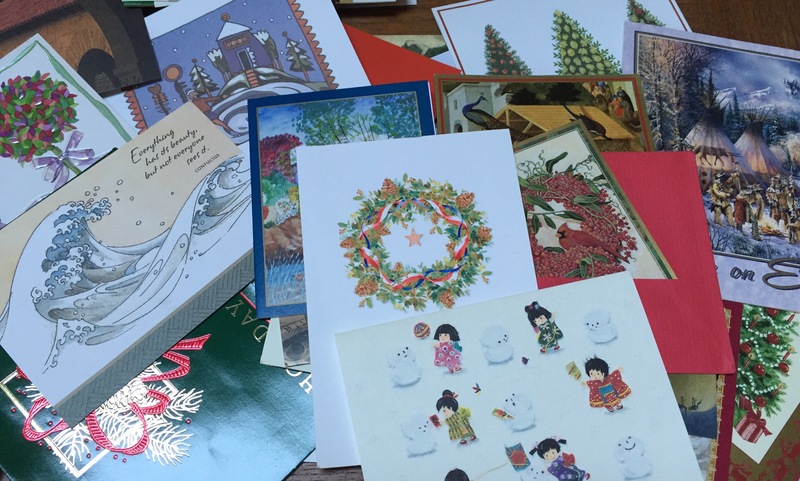 Letter by letter, decade by decade, holiday letters are snapshots of life of those important to you. For the closest friends and family, the stories end only with death. When you are young, the letter is about what’s important to you. They’ll speak about having a family, a career or both. Then as the young become the old, it’s about the next generation or retirement. It’s the passing of the torch. Paring down your life to a snapshot letter helps you assess what was important in that year. Who and what is important enough to make the cut? Should the year be a chronology or by an event’s impact on you? Once they are unfolded, the letters become part of the texture of other people’s lives.Their reaction is using joy – sometimes anger. That’s their problem though. Most holiday letters are probably discarded. People toss them along with the cards and envelopes. But if they’re kept, they become a snapshot of history. Every history ends with unfinished stories. What happened to the friend of your parent who had cancer? Did the grandchild of another make it to the college of their choice? Did anyone finish writing their books? Your descendants will never know. The threads are broken. So, write that paper letter and take the risk of being part of a history beyond your online identity. Your children, your grandchildren, archivists and historians will appreciate it. Don’t let yourself be forgotten. This entry was posted in family, History and tagged christmas cards, family history, history, holidays, letters. Bookmark the permalink.